1) Want to Add a Festive Touch to a Room? 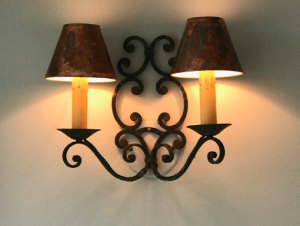 paper shades and spray them with copper. 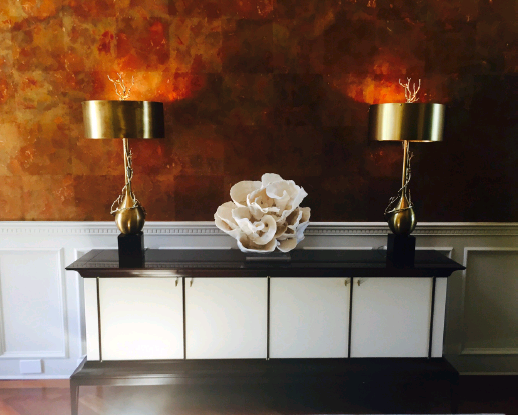 copper wall and you will give a second life to your artwork. beautiful it is with the evergreen colors of the Christmas tree. our Paysage copper garlands to your flower arrangement. glass ornaments and it’s magic!